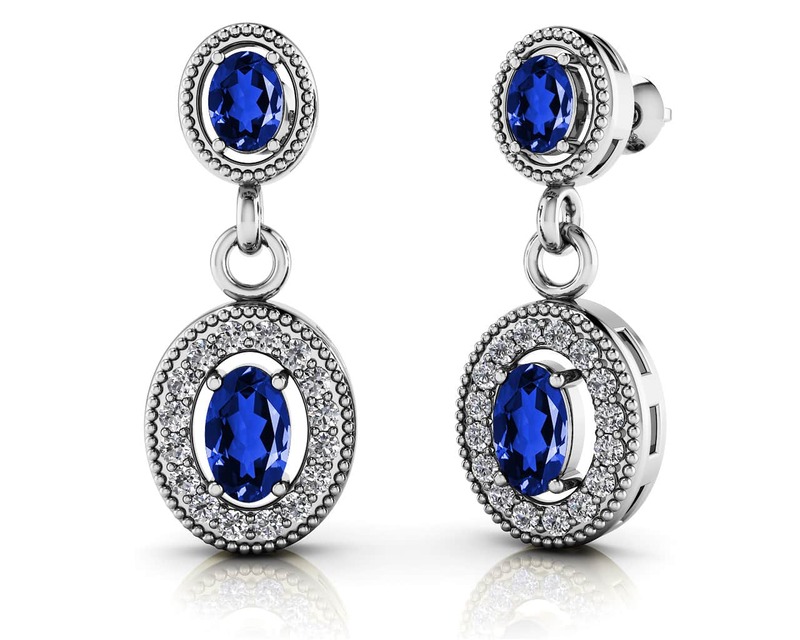 These diamond and gemstone drop earrings have a colorful, designer look. They feature stunning oval, vibrantly colored gemstones bordered by an extraordinary oval of diamonds. 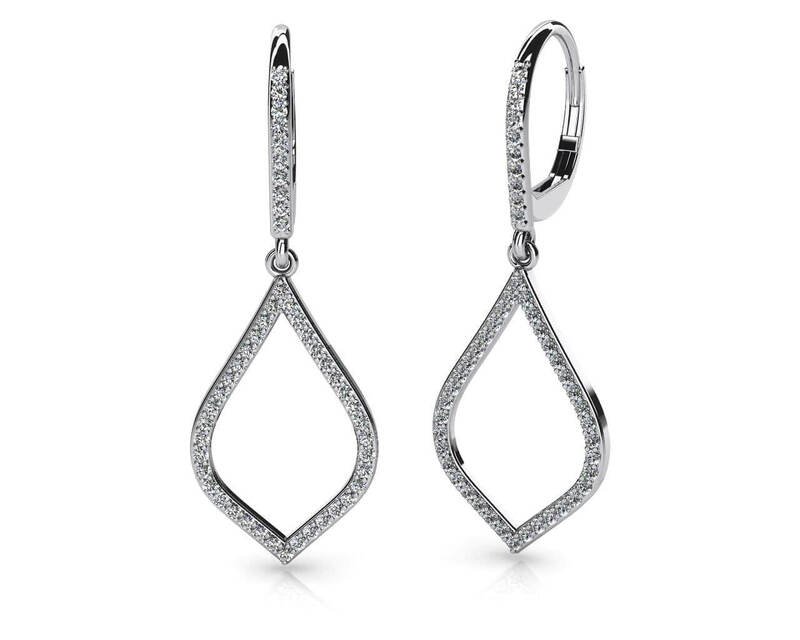 They are carefully dangled from another perfect, oval, prong-set gemstone at the ear. It has a total weight of 1.22 carats and will look amazing in your choice of gold or platinum. Customize a pair of these today by selecting your favorite gemstone or birthstone to make a very personal jewelry item! Stone Carat Weight: 32X.010 ct., 2X0.200 ct., 2X0.250 ct.